There are many yarn purchases that I cannot take full responsibility for. Well, you and Brooklyn Tweed's (Sort of). 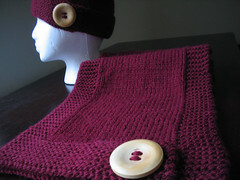 When I first saw the Scholar Collar on Brooklyn Tweed's blog, I LONGED to make one. 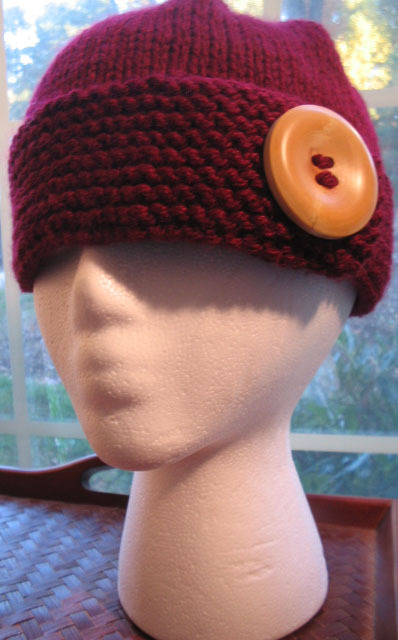 It is the simplest, classiest piece of knitting that I'd seen in a long time. I put it in the back of my mind, though, and kept forgetting about it. That is, until I saw all the collars Stacey made. She reminded me that I wanted to make one. 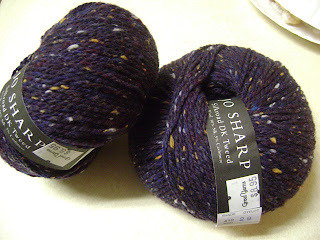 So, I went to Great Yarns today and bought this yarn for it. When I saw that Stacey got her Knit Picks Options needle set in the mail, I must admit that I was a bit envious. I wanted some new shiny needles to arrive at MY door too. I'm blaming her for that Knit Picks order I placed last night.